There was a famous wager between Kwame Nkrumah and Félix Houphouët-Boigny, the first Prime Minister of Ghana and President of Côte d’Ivoire respectively, as to which country would succeed in the longer term. At the time of his death in 1972 it looked as though Nkrumah was clearly losing. By the time of Houphouët-Boigny’s death in 1993 that was no longer the case. From 1960 to 1980 Côte d’Ivoire enjoyed more or less uninterrupted growth such that by 1980 real gross domestic product (GDP) per person was twice its 1960s level. In contrast, Ghana’s GDP experienced a substantial fall from the 1970s to 1983, at which point the country was bankrupt, its currency worthless, its economy in ruins and its third attempt at democratic government had ended with a fourth military coup in 15 years. However, the period since the mid-1980s has seen a remarkable reversal of fortunes. From 1983 Ghana has experienced sustained recovery, while Côte d’Ivoire has seen large falls in income, its first coup in 1999 and a decline into civil war and ethnic unrest. From being among the least successful Ghana has gone to being among the most successful of African countries, changing places with Côte d’Ivoire which has seen its economy transformed from one experiencing rapid growth to stagnation in a country ravaged by a bitter civil war. What can account for this extraordinary reversal of fortunes? Life expectancy is a statistical measure of how long a person or organism may live, based on the year of their birth, their current age and other demographic factors including gender. In many ways the two countries on which this essay has focused, Ghana and Côte d’Ivoire, capture the diversity of experience in Africa since independence. The common picture painted of a continent subject to political instability, mired in poverty and stagnating is far from the truth. 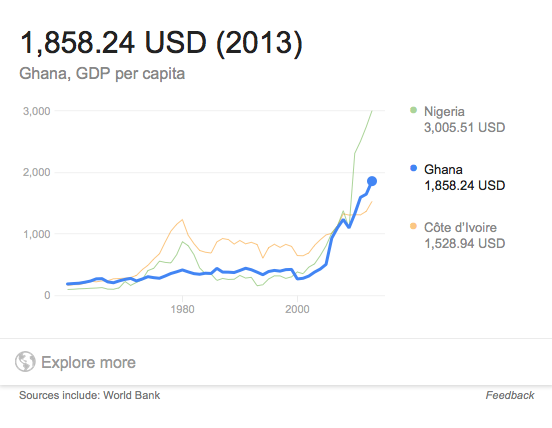 For more than two decades Côte d’Ivoire was one of the most successful countries in the developing world. 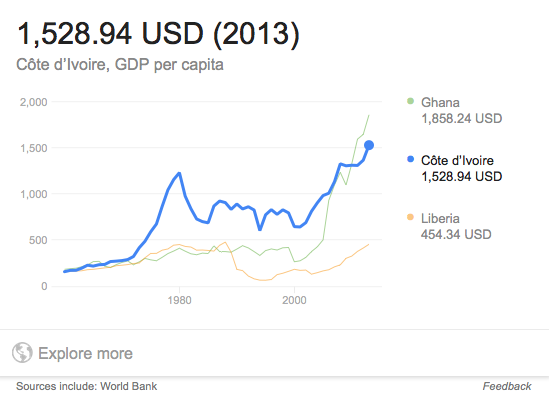 Ghana’s recovery, both economic and political, since the collapse of the early 1980s has been remarkable. However, in the case of Côte d’Ivoire success was not maintained, and in the case of Ghana the economy remains far behind those equally poor at the time of independence but now with high incomes. Africans aspire to those incomes but, with the exception of a highly educated few, those aspirations have been systematically frustrated. In this essay we have argued that the policy failure that underlies this frustration has common elements across both countries. These are that heavy taxation of the agricultural sector in both countries has raised revenues which have not been used productively. The use of these revenues to sustain a large public sector and a heavy investment in education without an expansion in jobs for the newly educated is the underlying source of the deep dissatisfaction felt by Africans towards their governments. In the case of Côte d’Ivoire the outcome of these misguided policies has been civil war; extracting the country from that will not be easy. Addressing the underlying problems facing both these countries will be even more difficult. 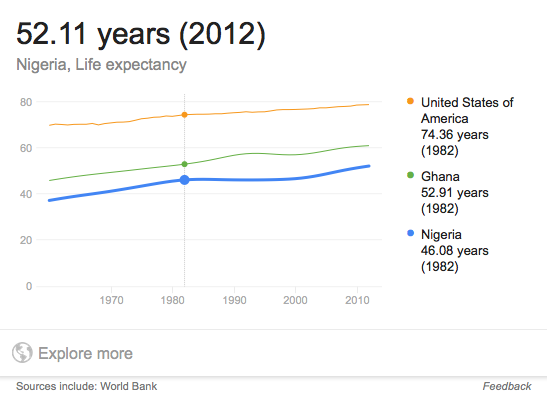 Ghana has a much higher cumulative Quality of Life Quotient than Ivory Coast. 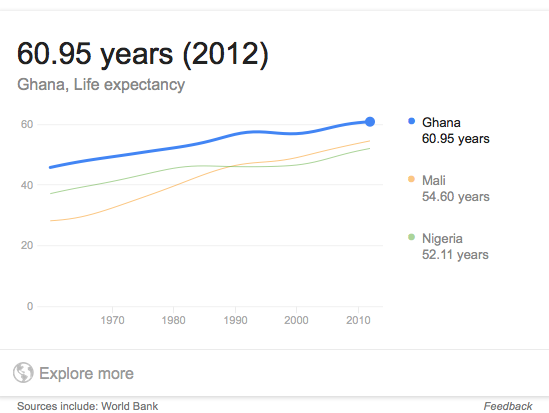 Ghana outperforms her neighbor in Education, GDP Per Capita and Life Expectancy. 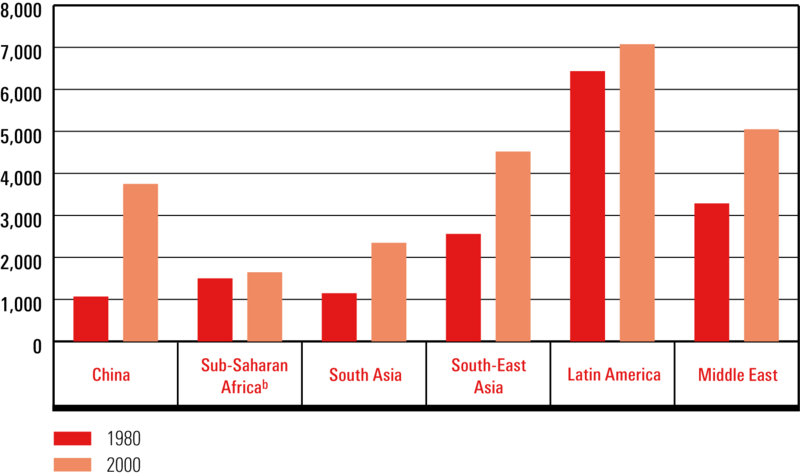 Yet still, Ivory Coast, seems to have a much higher Savings Rate and Productivity ratios than Ghana. On the back of this empirical evidence, it will be my educated assertion and conclusion, that, Ghana’s strong social interventionist society, is structurally much more efficient at delivering a relatively more equitable wealth redistribution than that of Ivory Coast. This systemic structural superiority, seems to enable Ghana provide much better outcomes on the social services side of the equation but not the economic side of the equation. 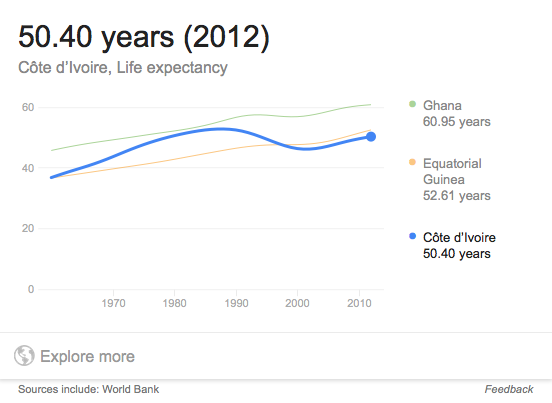 Whereas, Ivory coast is able to deliver much better economic benefits/outcomes to only part of its population but less social support systems in the form of education, etc. And hence the philosophical quandary; how can Ghana truly improve it’s Economic Productivity so as to be able to lift more of its citizens out of Poverty?